This section will help you learn how objective information or data can inform, improve, and refine your jail transition process. A data-driven approach to local reentry is the exact opposite of making decisions based on hunches, incomplete information, hunches, or a tradition of doing things in a certain way. What kinds of data do agencies in your community have? How can these data be used to improve the transition process from jail to the community? What capacity is in place to develop, collect, maintain, and analyze these data? What factors influence whether and how data are used in the decision-making process? Confirm or refute perceptions about pressing issues. Monitor progress, measure outcomes, and formulate policies. Assess the characteristics of the jail population, local crime problems, laws, policies, and local resources. Identify issues, problems, and potential solutions for the jail population pre- and post-incarceration. Increase understanding of target populations of particular interest. Identify subsets of the population likely to consume disproportionate criminal justice and program resources. Identify geographic areas to which the jail population returns. Identify benchmarks and develop measures to chart progress toward them. Trace service referrals, engagement, and utilization, and share that information with partner agencies. Inform or implement improvements to your strategy. Identify resources that can be leveraged. 1. The Council of State Governments. Report of the Re-Entry Policy Council. Relevant information on developing a knowledge base of information, including (a) understanding who is being released from prison, and (b) identifying what state and local policies influence and govern reentry. It also speaks to data issues for multiorganizational reentry initiatives like the TJC. 2. Gail, Elias. 2007. 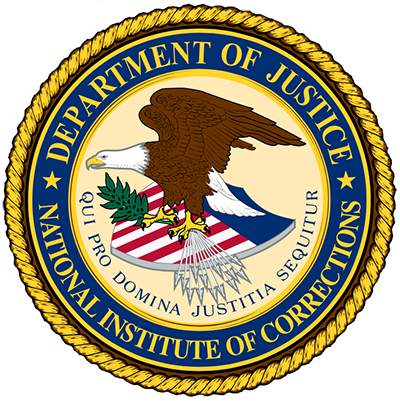 How to Collect and Analyze Data: A Manual for Sheriffs and Jail Administrators, Washington, DC: National Institute of Corrections. A comprehensive discussion on data collection, management, and analysis. 3. Howard County, MD. Map of Zip Codes to which Howard County inmates are returning. This is a useful tool in visualizing the communities individuals from the Howard County Detention Center are returning. 1. Collecting and analyzing local data is important because it helps you to confirm or refute perceptions about pressing issues. Based on state department of correction data. A process for collecting and analyzing data to inform decision making. Collecting and analyzing local data is an important first step in developing an effective TJC effort. Data can help you identify issues and problems, inform improvements, monitor progress, measure outcomes, and formulate sound reentry policies.